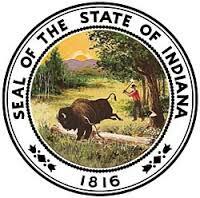 The State Legislature in Indiana sent SB 478 to Governor Eric Holcomb earlier this session; he recently signed the bill into law. Also known as the Facilitating Internet Broadband Rural Expansion (FIBRE) Act, the new law allows electric cooperatives with easements for electric lines to use those same easement for fiber infrastructure. The change in existing law will allow rural electric cooperatives to bring high-quality Internet access to the many rural regions in Indiana that are now unserved or underserved. SB 478 applies only to existing easements between electric suppliers and property owners. It doesn’t apply to new electric easements, railroad property, or the installation of new poles, conduit, or other structures. Other exceptions also apply to limit the new easement applications to existing infrastructure. The language of the bill provides in detail the steps that a property owner can take if they oppose the installation of the new infrastructure under the purview of an existing easement. It also lays out the information that an electricity provider must provide to the property owner regarding the plan for fiber infrastructure deployment and planned delivery. The bill goes on to establish further procedures if a property owner decides to pursue legal action if they feel their property value is decreased due to the new infrastructure or other related matters. Lastly, the bill lays out procedural requirements for an electric cooperative that decides to offer broadband Internet. They must create a separate entity and maintain a separate accounting system. Read the entire bill here. A couple of years ago, Koch was working on another issue with the Indiana Electric Cooperatives, and he saw maps of all the areas that are served by REMC’s in Indiana. The cooperatives educated Koch about the easement issue. When state laws governing electric line easements were developed in the 1930s, lawmakers couldn’t imagine the need to extend those easements to telecommunications infrastructure. The bill passed with strong bipartisan support in both legislative bodies, passing 49 - 1 in the Senate and 96 -2 in the House. The Governor recently signed the bill into law. West Virginia also passed policy legislation this session to encourage a cooperative model to expand high-quality Internet access in rural areas. Perhaps other states will follow these two common sense examples and ease state laws that discourage electric cooperatives from doing what they need to do to improve local connectivity. North Carolina residents and businesses could benefit if its lawmakers looked north to these two states. Electric cooperatives must contend with laws that limit their access to capital for the purpose of offering broadband to cooperative members in North Carolina. We analyzed the situation in our 2016 report, North Carolina Connectivity: The Good, The Bad, and The Ugly. The truth is our project is an overwhelming economic success. For nearly fifteen years now, our project has delivered the lowest cable rates in North America to the 14,000 residents of Glasgow, KY. We sell a 70 channel cable package for $18.95 per month. Those savings to the 8,000 homes and businesses in Glasgow over the last fifteen years now total over $32 million.